* Total number of reviews and star-ratings are based on data collected during the time period Kent Heating and Air has been using the ReviewBuzz system and may not directly match the data found on each public review site. Sarah was very professional. She got us scheduled very quickly. I needed a service call and she took care of our needs. She call to remind us of the service call appointment which I appreciated. I had questions about the service call and she got ahold of the service man and had him call me right away to answer my questions. PROFESSIONALS...Don, John & Richard did a excellent job. 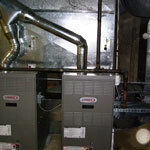 On time, cleaned up, professional installation of furnace and air. This company is the one I should have used twenty-two years ago. Very prompt follow up by Don after tech diagnosed issue with old A/C units. Darrel and Alex were very professional hard workers. A+ Installation is professional and they explained everything. Everyone we had contact with were very respectful and professional. I'm very happy with the quality of the air conditioner and with the service I received. Everyone I was in contact with was very professional and respectful. Thank you! Kent has serviced us 42 years! That speaks for itself! Thank you for being here and for doing it right the first time!! I would recommend Kent to anyone wanting a new furnace and air unit. Friendly and professional all the way. Beautiful work! 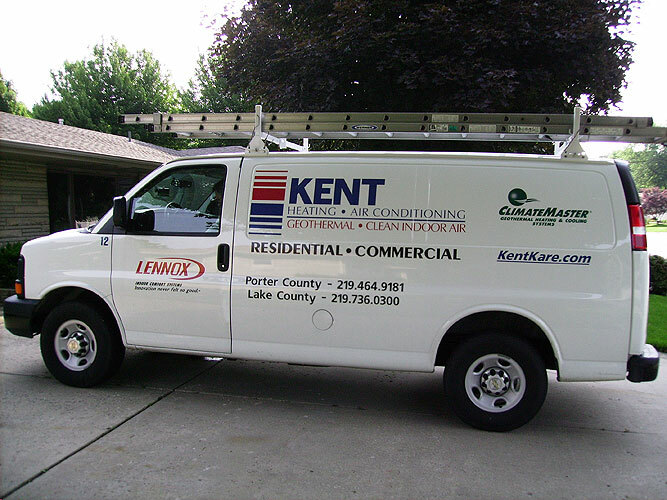 Kent Heating and Cooling is the BEST around! 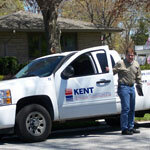 We had a new furnace installed by Daryl and Daryl from Kent Heating and they were so helpful, and professional. Don helped us decide on which furnace to choose and he was amazing to work with as well. A few weeks after installation we received a call from the owner himself asking if everything was satisfactory, and we assured him it was a great overall experience, from the initial phone call to final installation. We would DEFINITELY recommend them to all! Installed new furnace and zoned heating. Excellent! Our 22 year old furnace stopped working right after the holidays. What most would expect to be added stress was extremely minimized by the office staff. With family staying with us for an extended period, we very much appreciated having everything taken care of for us regarding registration, rebates, and tax paperwork. Thank you Monika and Stacy! The men that installed the furnace were extremely well mannered and fun to be around. It must be a wonderful working atmosphere with such employees. The furnace is great. It is much quieter!! I needed to upgrade my air conditioner. They were very professional and knowledgeable. I have used them in the past and have been very happy with their personnel and also the neatness of their installations. From the estimate to the installation the job was very professional. Very helpful in selecting proper system for our needs; very efficient installation. This was an EXTREMELY difficult job, but it was done quickly and with minimal disruption to our lives. We had an emergency installation of our air conditioner during a week of 90 degree temperatures. The Kent office employees were extremely courteous, professional, and happy. The crew that replaced our unit worked at night and not only did not complain, they thanked us several times for our business. It must be a fun group of co-workers! Customer service is always a top priority at Kent Heating and Air. Our BBB Membership A+ rating is like a badge of honor as we continuously strive to provide the best experience for our clients.